Ginger and lemon make this one by Boulevard Brewing Company both unique and refreshing. The brewery's Ginger Lemon Radler tastes almost like you're enjoying a nice ginger lemonade. 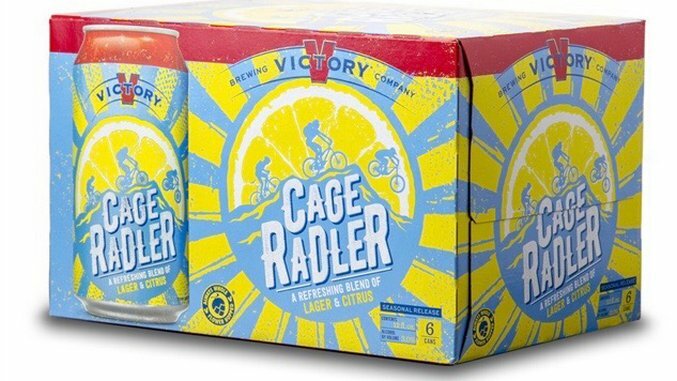 Victory Brewing Company's take on the Radler combines together lemon and lemon zest with a lager to create the Cage Radler Throw a six pack of this in your bag when you're on the way to the beach, and you'll stay cool and refreshed all day long (or at least until the beer runs out). August Schell Brewing Company's Schell's Shocked Radler has a strong grapefruit flavor that grapefruit lover will definitely enjoy. At only 4.6%, this is also one you can enjoy quite a few of without spoiling your afternoon plans. Goose Island Brewing Company's C.A.L.M. Radler is just 3%. That's pretty darn close to water. Formerly known as Radler #1, the beer is a light effervescent warm weather ale brewed with cucumber, mint, and lime. We've gotta give some points to Hopworks Urban Brewery for its name for this one: Totally Radler. Like most Radlers, this tart brew is more like soda than beer, but in this case we can't complain. Bonfire Brewing Company's Coloradler is brewed wit lemon and mint, giving it a refreshing taste that will keep you coming back for more. Amsterdam Brewery's Blood Orange Radler is made with the brewery's house-made soda. Burnt City Brewing's Retrofit Radler has a bicyclist on its can, paying homage to the origin of the beer's name. Flying Dog Brewery's Hibiscus Grapefruit Radler adds a bit of an herbal flair to the traditional fruity flavor of the Radler. It's definitely one to try. Waterloo Brewing's Grapefruit Radler is a blend of real grapefruit juice and beer. The beer is small-batch brewed in the traditional German style, and is a refreshing drink perfect for a hot summer day. Long before anyone in the United States started making Beer-mosas on Sunday mornings, the Germans were making Radlers. A mixture of sparkling lemon soda and a blonde lager, the refreshing drink is one of the first beer cocktails out there, and on a hot summer days there’s nothing quite like it. While you can certainly make a Radler on your own (Radler means cyclist in German BTW), a number of breweries, including quite a few American craft breweries, have started canning and bottling the stuff on their own. Check of the gallery, above, for a look at some of the thirst-quenching brews you can grab stateside.